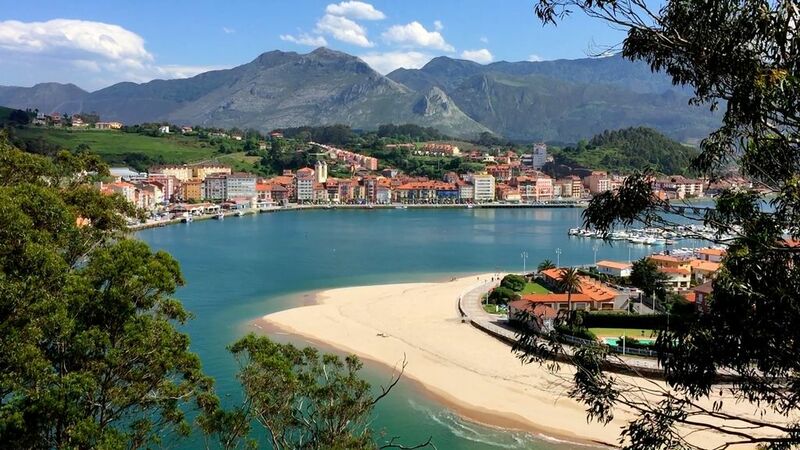 Located in one of the most beautiful coastal towns of Asturias, a center of tourism summer exterior floor, sunny, renovated, grades, 6 beds, fully equipped, two minutes from the beach and the marina, 5 minutes from downtown, a minutes supermarket, walk around, lift, large terrace. A half hour of the National Park Picos de Europa and Covadonga. This was a fantastically located apartment very closely situated for the wonderful beach and also for access to the town across the bridge. Antonio was very responsive to all our queries and made arrival and departure very easy. It was clean and comfortable and exactly as described on the website and we would recommend both Ribadesella and this apartment. This is the best place to stay in Ribadesella. The sea beach and surf club are in 3 minutes walk, the river beach with no waves is in 5 minutes walk, byce rent in 1 minute walk. The supermarket is nearby, plenty of cafes and restaurants. The bridge which leads to the tourist part of the city and shopping area is very close to the apartment. The apartment has everything for staying, even washing liquids and paper towels. The balcony is very helpful in the evening to sit there and have a glass of wine. The rooms are well isolated from each other. The free car park is usually full but you see from the balcony when there is a place to take it. The host is very friendly and immediately answers the questions by sms and e.mail. There is no internet but this is not a big problem because mobile signal there is perfect. Great place! Very very clean. The apartment is perfectly situated close to the beach of Ribadesella. Bars and restaurants in front of the door. Free parking nearby. 3 bedrooms suitable for up to 6 people. Very tidy & clean. Set of good towels provided for every guest. The kitchen has everything needed. Washing machine. Balcony. TV. Suitable for families with (small) children and surfers. Extremely polite host. Antonio takes a lot of time to help you in case you need anything. Una familia encantadora trato exquisito dejaron el piso en perfecto estado de limpieza y de orden. Totalmente recomendable. Un placer haberlos alojado en nuestro apartamento. Muchas gracias por habernos visitado. Un cordial saludo y hasta siempre. Amplio,limpio,bien cuidado,con todo lo que puedes necesitar,bien ubicado,muy comodo,con parking gratuito,y siempre que lo necesites su dueño estara amablemente a tu disposicion,si vuelvo a ribadesella ya se donde tengo mi casa. Nearby restaurants, tennis courts, water sports and adventure, canoe and bike hire, golf, tennis, shopping, etc..
Entrega de llaves realizada por propietario. Estancia mínima en temporada baja dos noches. Estancia mínima en temporada alta, septiembre, Navidad y Semana Santa, seis noches. En temporada baja se aplicará un incremento de 10 euros por persona y noche a partir de 4 huéspedes (cinco o seis personas).